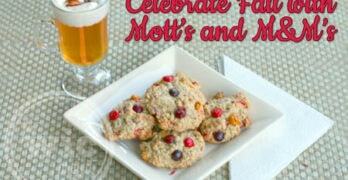 You are here: Home / giveaway / current giveaways / Chillin’ Out with Daily’s Cocktails – New Tropical Flavors! The weather was perfect. The sun was shining but there was still a cool breeze blowing. The day had one of those “relax” vibes to it, prompting me to abandon the computer and the confines of four walls to celebrate and enjoy the outdoors. So I packed a bag of Daily’s Cocktails and some other goodies and head out to the deck for a weekend get together with friends. 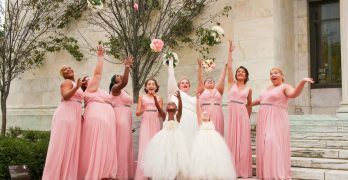 Daily’s Cocktails has been a favorite for parties and events since we first learned about Daily’s last year. When I heard about their new Tropical and Light Frozen pouches, I was almost giddy. Bahama Mama, Pina Colada, Blue Hawaiian and Hurricane. These would be the perfect drinks to enjoy in this heat – even if we are at the top of the mountain instead of on a beach. 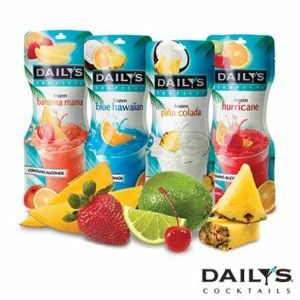 Daily’s also has a few light frozen pouches as well – Light Strawberry Margarita, Light Pink Lemonade, Light Margarita, and Light Mango Passion Fruit Daiquiri. Unfortunately, Walmart was completely sold out of the tropical and light Daily’s Cocktails pouches, so I grabbed a few of the Peach Daiquiri and Frozen Lemonades. One thing I didn’t account for before our party was the warm weather before the weekend. The same day we got home with our Daily’s pouches, we were already tearing them open to enjoy a cool drink. But, as the saying goes, one monkey don’t stop no show, so enjoying a couple of pouches does not a party stop. I’ve always loved the convenience of Daily’s Cocktails. You can enjoy a nice (alcoholic) frozen drink without having to mix, measure, or blend. Everyone seems to have their own drinking style too. Some people pour Daily’s into a cup while others drink Daily’s straight from the pouch. 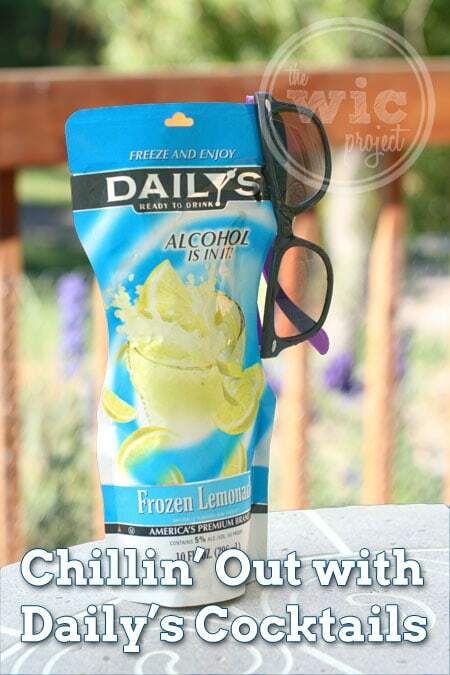 Since the drink is already made, all you need to do is let the pouch freeze then enjoy! How do you drink your Daily’s? I’ve enjoyed every flavor of Daily’s Cocktails that I’ve tried so far. The drinks taste true to their names and aren’t “weak.” You can definitely taste the alcohol but it isn’t “Woah, this is so strong.” The Daily’s Cocktails taste like they’ve just been blended by a bartender to be just right. 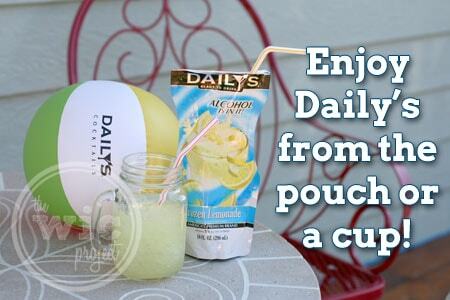 If you’d like to try Daily’s Cocktails, you can find them in a store near you. They’re very reasonably priced – I can get them at Walmart for less than $2 a pouch. What’s your favorite Daily’s Cocktails flavor? One winner will receive a Daily’s Cocktails Prize Pack which includes a $10 Walmart gift card, branded beach ball, beach towel, and tumbler, plus a pair of sunglasses and a tropical beach bag. This giveaway is open to US residents, ages 21 and over. The tropical one pictured sounds refreshing! Hurricane sounds awesome to me! I would like to try the Blue Hawaii Flavor the most! I want to try the Bahama Mama!! I’d like to try the Light Strawberry Margarita! I would like to try Daily’s new Hurricane flavor. I want to try the Hurricane flavor. I wan to try the Pomegranate Acai Margarita. Thanks for the chance to enter. I’d love to try the Bahama Mama! Mango Passionfruit daquiri sounds yummy! I’d like to try the Light Strawberry Margarita. I would like the Hurricane. I would like to try their Lemonade Pouch. 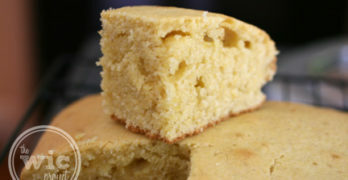 I would like to try the light marguirita. I’d like the Blue Hawaiian. The Blue Hawaiian, sounds yummy! I’d like to try the Strawberry Daiquiri flavor. i want to try banana mam and pink lemonade, thanks for the giveaway! I like the pomegranate acai. I’m not totally sure what a Bahama Mama is but that would be my first flavor to try. Second would be the Peach Daquiri, yum! I think I’d like Strawberry Daiquiri. I’d like to try the Peach Daiquiri & Margarita. I would like to try the Pina Colada flavor first. I would love to try the Pina Colada flavor. I want to try the Strawberry Daiquiri. I would love to try the Blue Hawaiian! 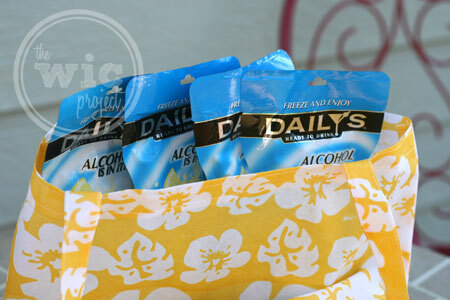 I would love to try the Tropical Frozen Pouches – Blue Hawaiian! I’d love to try the Pina Colada mix! I would love to try the lemonade! The Bahama Mama would be my choice! Would love to try the bahama mama. Thanks for the chance! I really want to try the Strawberry Daiquiri! I want to try the Peach Daiquiri flavor the most. I want to try the Blue Hawaiian the most.